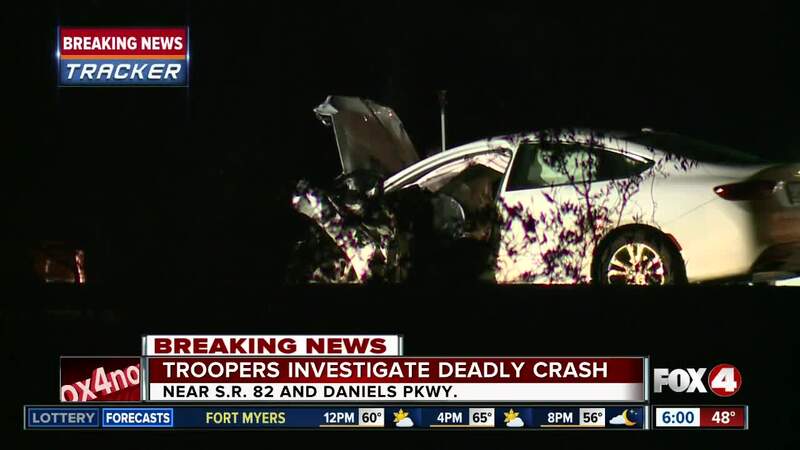 LEE COUNTY, Fla. -- State Road 82 was closed in both directions for over five hours in Lehigh Acres due to a fatal crash early Monday morning. The crash happened at 2:36 a.m. on S.R. 82 just west of the intersection with Daniels Parkway. According to Florida Highway Patrol, 27-year-old Yanelys Periera of Lehigh Acres was driving eastbound on S.R. 82 and crossed over the center line, where her Honda collided head-on with a westbound Chrysler. Both drivers were pronounced dead at the scene. The other driver has been identified as 41-year-old Junior Jules of Fort Myers. The roadway was re-opened shortly after 9 a.m.
Live traffic conditions can be monitored on the Fox 4 Traffic page .